In the deep and cultivated history of the world, no recordings have survived of mankind’s “first” rebellion. Presumably, that first rebellion occurred long before humans had invented language, before they had learned to paint cave walls, and even before “rebellion” itself was a concept housed within the primitive mind. Since the first rebellion, we have developed our methods and means of rebelling as our cultures moved further onward across the timelines upon which man and science have so neatly placed them. Rebellions have been so prevalent that they put us in danger of cluttering the lines. No one single timeline could possibly illustrate all those recorded rebellions, from all the eras, representing all the corners of the globe. We need other constructions than mere lines to present rebellions in a “meaningful” way for the human brain. Luckily, human brains are masters of solutions. The problem has long been solved by our collective evolution; resulting in the gathering of both global and detailed information from many different sources, and letting our brains make sense of it all. I liken this to the mind’s effortless piecing together of a multidimensional information puzzle, as it creates a “whole” which we may call an “understanding”. Luckily, again, humans are also masters of creative organization. We are not limited to that one long, cluttered timeline as the source of all of our information pieces for our puzzles. We can divide that timeline in ways which give us a variety of perspectives; providing a selective focus within a smaller time frame. We can choose what to look at in one glance, for one discussion, to serve one contemplation. On our multidimensional timeline, we can even include two events which are separated by distance; to compare and contrast them in order to gain insight into both. This type of comparative construction has been used by scholars to look at the Taiping Rebellion. 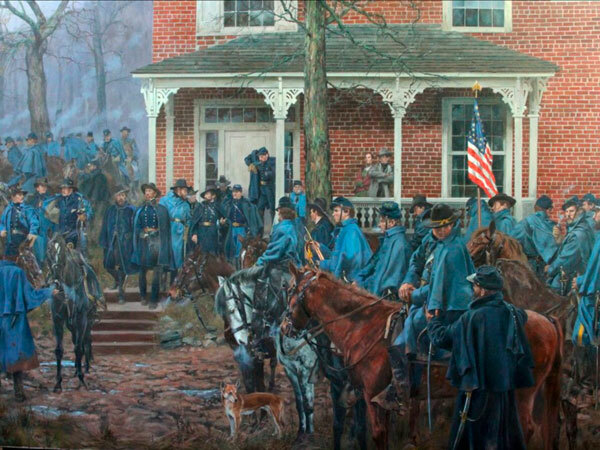 The space-time-line construction for their analyses includes China and America during the rough period of 1850-1865 and is seen through the multifocal lenses of the Taiping Rebellion and the American Civil War. From these studies, a general comparative statement has been forthcoming. 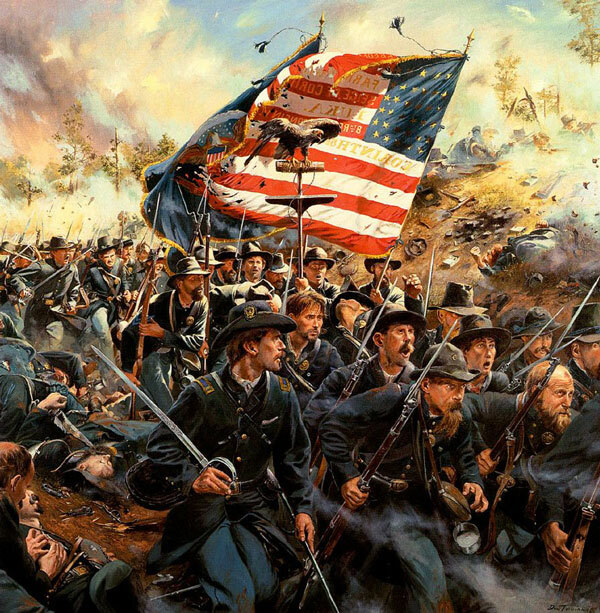 The American Civil War is described as being, “The First Modern War”. And the Taiping Rebellion is described, in contrast as being, “The Last Traditional War”. This is an interesting perspective; one which I am offering today in the writing of this essay. 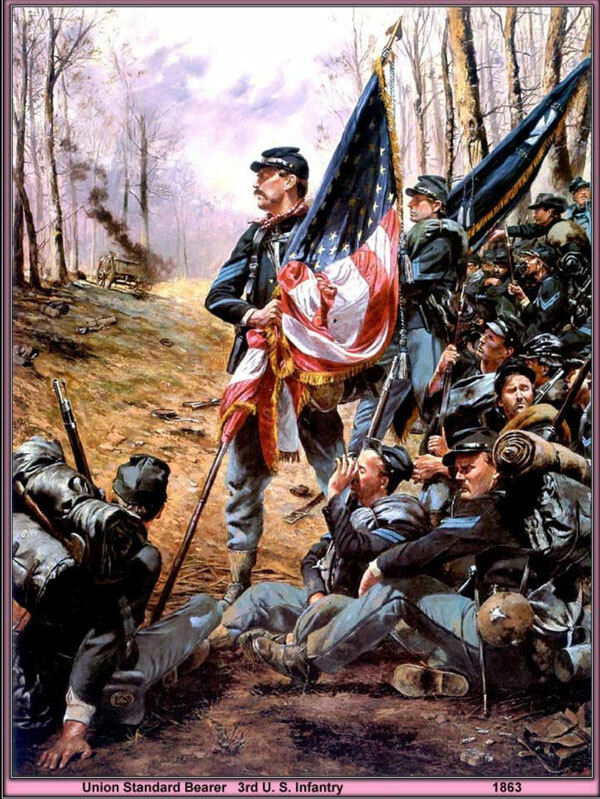 Basically, calling the American Civil War an Industrial war refers to materials used and how they were produced. However, the conditions causing the war were multidisciplinary and have been investigated within the scientific fields of: economics, sociology, psychology, anthropology, and political science; just to name a few. Most people are familiar with the central discussion of “slavery” as being the cause of “disunion” in the United States leading up to the civil war. And, indeed, “Slavery was a major cause of disunion. 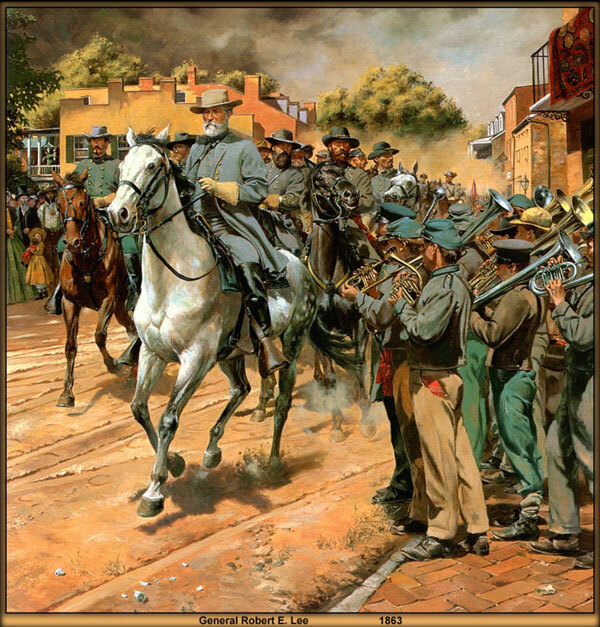 Although there were opposing views even in the United States, most northern soldiers were largely indifferent on the subject of slavery, while Confederates fought the war largely to protect a southern society of which slavery was an integral part.” – [Wikipedia]. The economy of the southern states was based on large scale agricultural cotton production; which was labor intensive. The economy of the northern states relied heavily upon its industrial manufacturing; which was far less labor intensive. These two socio-economic societies had conflicting interests and a political power struggle developed into a civil war of secession. The north wanted social change and a strong centralized federal government. The south wanted preservation of the society at hand and a decentralized government which would give more power to the states. The south considered secession from the union to be a viable solution to the power struggle. The north rejected secession, claiming it to be unconstitutional for states to leave the Union. On this socio-economic plane, we can make our first comparisons and contrasts of the circumstances of these two rebellions. Both the Taiping and the Confederates had initially divided their respective countries along a north-south axis. Whereas, the Confederates represented the south as a coherent group with a shared culture and identity; the Taiping did not. The Taiping were merely a hodge-podge collection of people from a number of different (sub)cultures who were joined by economic, political, and/or religious ideology. During the 19th century, the southern states had developed a different: economy, social structure, customs, and political values than those developed by the northern states. Seceding and dividing the country along voluntary state lines was, for them, a sensible solution. In 1861, eleven of the thirty-four states opted for leaving the agreement of a United States of America and joined their newly created Confederate States of America. If the Union in the north had not objected to this move, there would have been no civil war. The case in China was quite different. Unlike the Confederate rebels, the Taiping were not motivated by a need to defend the status quo of social circumstances which preceded their rebel movement. Instead, they were out to destroy the Qing Dynasty and to force a new socio-economic model upon all Chinese societies. The Confederates in America were intent upon defending their homes and their way of life in the south; whereas the Taiping were intent on expanding their newly formed Heavenly Kingdom northward to Beijing and incorporating all the lands and peoples in-between. “The Confederacy was never diplomatically recognized by the United States government, nor was it recognized by any foreign country (although the United Kingdom and France granted it belligerent status). The states that remained loyal to the U.S. (including border states where slavery was legal) were known as the Union of the North.”- [Wikipedia]. To say the least, the Qing government took objection to the the movements made by their own home grown southern rebels. However, the objection was not centered merely around the threat of secession. The Qing had no desire to be de-throned, de-stabilized, nor demolished by the Taiping Heavenly Kingdom. And, just as with the Confederate States, no foreign government ever officially condoned the Taiping rebel movement nor did they acknowledge the legitimacy of their Heavenly Kingdom. The British and the French secretly preferred the Qing Dynasty to stay in power because they knew that they could win their wars against the Qing and afterwards receive treaty trade-concessions for their trouble. Both the Confederates and the Taiping knew that they were basically on their own and would have to fend for themselves to achieve their separate goals. Both rebel movements created their armies using volunteers and conscription. In addition, the Taiping hired Western mercenaries in order to gain access to modern weaponry and training to fight against the Qing. 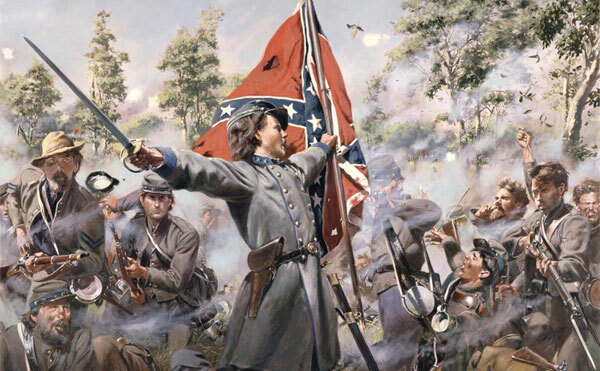 The Confederates already had access to the modern weapons and methods of the industrialized Western military. In taking account of these two rebel histories, I find their circumstances, goals, and strategies to have had little in common with each other. One is considered to have been the “Last Traditional War” and the other the “First Modern War”. Assuming these are accurate statements, questions arise within me. What is meant by the defining terms of “traditional” and “modern”? And, are these terms accurate for all parties involved in these wars? Ben Judkins, in his essay “The Chinese and Their Rebellions: Thomas Taylor Meadows on Taiping Warfare and the Emergence of the Traditional Chinese Martial Arts”, has also questioned the legitimacy of the widespread use of these terms in describing the Taiping Rebellion in contrast to the American Civil War. Judkins tells us that the Americans are noted for having warred with, “rifled muskets, highly accurate rifled artillery, cartridge loading repeating firearms and the widespread use of trenches”; whereas Chinese society had not yet become “Industrialized” and as such, did not meet the prerequisite for being called a “modern war”. This is a very different concept than what first comes to mind when these two titles are placed as contrasting elements. Judkins’ explanation indicates that the distinction between traditional and modern, in this case, is based on the development of the weapons production of the societies rather than on the weapons used by the societies. When reading the list of American Civil War weapons without a similar list of weapons used during the Taiping Rebellion, a bias is created within me; an assumption occurs to suggest that the Chinese did not use modern weapons during the Taiping Rebellion. Judkins also noticed this bias reaching as far back as the reports from Western observers during the early period of the Taiping War. These Westerners were fixated on the Chinese use of spears, bows, swords, and shields; because these weapons were in contrast to what they had observed in Western Wars. The fact that the Chinese also used modern firearms gained little attention in the reports which these observers set to paper. Their selective attention is an example of a “selection bias”; meaning that what they wrote about is what caught their attention, leaving what was familiar unnoted. The selective attention gives a distorted image of a situation and the bias results in an inaccurate assessment. These inaccurate assessments are then used to make general statements, and these quickly become presented as “truisms”. Judkins tests the accuracy of historical reports made by Western observers by turning to the actual Intelligence Reports made by the Imperial and the Taiping armies during the Taiping Rebellion. Both reported the widespread use of firearms by troops. In fact, it is noted that the artillery and musket fire often determined the outcome of their battles. Both the Qing and the Taiping used modern and traditional weapons, side by side, as a standard fighting strategy. 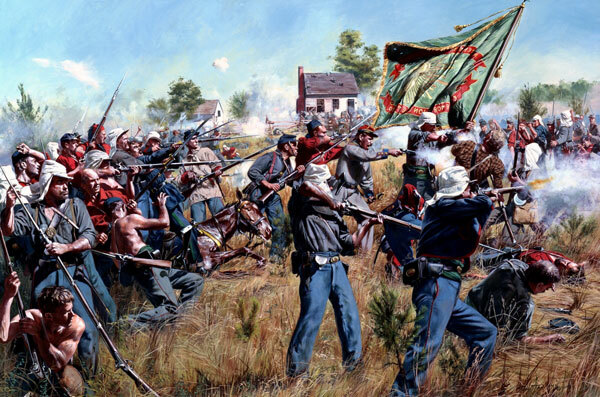 By dividing the American Civil War and the Taiping Rebellion along the line of degree of Industrialization, it is easy to fixate upon the narrow concept of “weapons manufacturing” in the making of distinctions. I find this to be a bit odd considering the Chinese have a long history of mass producing weapons for their armies. They also have a long history of using firearms of numerous types. “Firearms have been a fact of life in China since the 1300s. At first they were difficult and expensive to manufacture; but the government employed large numbers of hand cannons, field artillery pieces and even massive rocket launchers from an early period……At the start of the Ming Dynasty Chinese firearms were probably the most advanced in the world.” These are Ben Judkins’ words from his essay, “Forgetting About the Gun: Firearms and the Development of the Southern Chinese Martial Arts”. He begins his trail of relevant information during the time of the Ming Dynasty. He explains that the Ming had created a few decades of peace after their ousting of the Mongol Yuan Dynasty. During this time of stability, they chose to lower taxes and spend their money on the infrastructure of the country. They took measures to prevent famine because famine is a key factor in the creation of rebellions. What the Ming chose “not” to do was to invest in military technology. They did not even maintain a standing army during peacetime. This changed when the Ming felt the presence of threat from rebellion and foreign invaders. “When things started to fall apart [for the Ming], both the forces of order and disorder suddenly become much more interested in the latest European advances in firearms technology. Matchlocks become a necessary part of any well-appointed army. By the 1580s this upswing in the use of firearms was well underway. Of course, this is also when unarmed boxing, mixed with philosophy and medicine, starts to gain popularity at Shaolin. In short, it was the decade when the idea of the modern Chinese martial arts really took root. For the rest of the Ming dynasty the more military relevant pole fighting forms continued to dominate life at the Temple. But by early in the Qing, the ascendancy of unarmed boxing was complete.” Here, Judkins assures us that the Ming and the invading Manchus were quite familiar with firearms. They knew how to use these firearms. They recognised the strategic advantage of using them. And, they actively sought to obtain them. When the Qing Dynasty set to work expanding their borders of control, their use of firearms also expanded. And, like the Ming before them, in times of peace, the Qing intentionally chose to not invest in new technological development of firearms. This remained true until the Taiping Rebellion forced the Qing to rethink their priorities. However, by that time, their financial situation had deteriorated enormously due to extensive wars and the ensuing treaty debts to foreign powers which the Qing had to pay. When fighting the Taiping, the Qing were confronted with the constant pressure exerted by changing circumstances. They made use of numerous creative military constructions to be able to defend themselves. “The ill equipped Imperial military started off armed mostly with cold weapons and a smattering of ancient matchlocks. But the more modern, smaller, privately funded Gentry militias that arose by the end of the war looked much different. They were armed with state of the art European muskets, modern uniforms and mobile field artillery.” This statement from Judkins requires some explanation. The Qing had created and expanded their original Eight Banner system along ethnic lines: Manchu banners, Mongol banners, Chinese banners and the Green Standard Army. The Manchu and Mongols had long used (mounted) musketeers, but they identified themselves with the use of bows and arrows. The Green Standard Army and the Chinese Banners embraced the use of firearms much more readily and these forces backed up the Manchu forces when necessary. The Qing also had Korean, Solon, and Western foreign forces fighting for them and these also carried firearms. The Qing had an effective weapon in the Manchu Bow, especially when it was used in combination of other weapons; including firearms. However, the effectiveness of using mounted archers can vary. One of the influential variables is the battleground terrein. The northern provinces of China are much more suitable for mounted warfare. Foreign northern tribes have always posed a grave threat to the Chinese rule. Many a dynasty has had to make changes in their traditional military tactics in order to protect themselves from the nomadic tribes to the north. The Yuan and the Qing dynasties were held by nomadic peoples of the north: the Mongols and the Manchu, respectively. Both of these dynasties preferred their traditional fighting methods. These methods were more effective in the northern areas of China than in the south. The particular topography of the south evened the playing field for the southern adversary. It should come as no surprise that the Taiping is not known for having used the Manchu Bow. The Taiping had come up north to Nanjing from Guangdong using the fighting methods which were traditionally known to them. I know of only one battle in which the Taiping, themselves, had used a cavalry. That occasion was in 1860 in the Battle of Jiangnan against the Green Standard Amy. 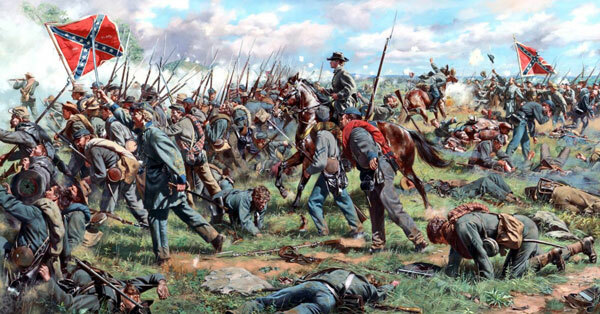 As most battles tend to be, this was a complicated war story with many changing factors. What is important here is that the Taiping had stolen 20,000 horses and mounted a successful cavalry attack against the Green Standard Army during a snowstorm. Whether they used archers on horseback, I do not know. Cavalry can mean different things to different groups. For the Manchus, it definitely would have meant archers. But, these were Taiping who had probably not grown up developing the skills of archery. And, as such, the question of whether they would have had Manchu Bows and Arrows definitely leads to doubt. What “is” certain is that the Taiping had a tentative partnership with the Nian. “Nian (1851-68) and Taiping rebels joined forces to fight the Qing. The Nian rebels in eastern China were famous for their fast moving cavalry attacks. If the Taiping and Nian rebels could have cooperated more effectively, they would have had a good chance to topple the Qing.”- [taipingrebellion.com]. The reasoning for this is that the Manchus had stressed mounted archery skills militarily as a means of preserving their culture. They always had a strong cavalry. The other Qing forces also valued their cavalry. The Mongolian cavalry was successfully used against the Taiping when the Taiping Northern Expedition had ventured into northern territory. The Manchu Bow was a true asset to the northern troops and many men carried them into battle. It was a much more accurate shooting weapon than either the matchlock or jingal.This brings us to the introduction of the Matchlock into our discussion. I turn now to an article, “The Nemesis in China and Chinese Archery in the 19th Century”, from the website “bowvsmusket.com”. “China is the odd man out in the transition from archery to musketry. Almost every other nation had given up archery for firearms, the Chinese still used large numbers of archers as late as the 19th century. While firearms were certainly not unknown in China, and muskets made up a significant portion of the Qing dynasty military, the Manchus did not use firearms themselves…….they fought primarily on horseback and their favorite weapons were the saber and bow.” The author explains that the wheellock and flintlock were not as readily available in China during this period, so, the Chinese used mostly matchlock, instead. However, using a matchlock while riding a horse is a bit tricky. The Mongols and Tibetans chose to make the necessary adaptations to use the matchlock while mounted. The Manchus, evidently, did not. “It is well known that the bow and arrow is the favorite weapon of the Tatar troops [Manchu], upon the dexterous use of which they set the highest claim to military distinction. The spear also, of various forms and fashions, is a favorite weapon of both Tatar and Chinese; but the matchlock…[was] by no means so much in favor with the Chinese.”- [bowvsmusket.com]. What is odd about that last statement is that we know that Chinese troops used these firearms to a great extent. So, why were they not in favor? They were not in favor because they were often a hazard to those who used them. This has to do with the manner in which the gunpowder was carried on the person. Soldiers carried their supply of powder in pouches strapped together in a way which somewhat resembles artillery chains wrapped around the waist. The powder was loose inside of the pouches, rather than being contained within rolled up cartridges. “Of course, every soldier has to carry a match or port fire to ignite the powder in the matchlock when loaded. Hence, when a poor fellow is wounded and falls, the powder, which is apt to run out of his pouch over his clothes, is very likely to be ignited by his own match, and in this way he may either be blown up at once, or else his clothes may be set on fire: indeed, it is not impossible that the match itself may be sufficient to produce this effect.”- [bowvsmusket.com]. The author also makes note that bows did not out range the muskets and that musketeers were not easier to train than archers. On the other side of the world, the Americans had been fighting a very different kind of civil war than the Chinese. Unlike the Qing, America had made no conscious decision to halt technological development of firearms. The Western world had entered into the age of Industrialization; the age of invention and entrepreneurial exploitation of the weapons industry. 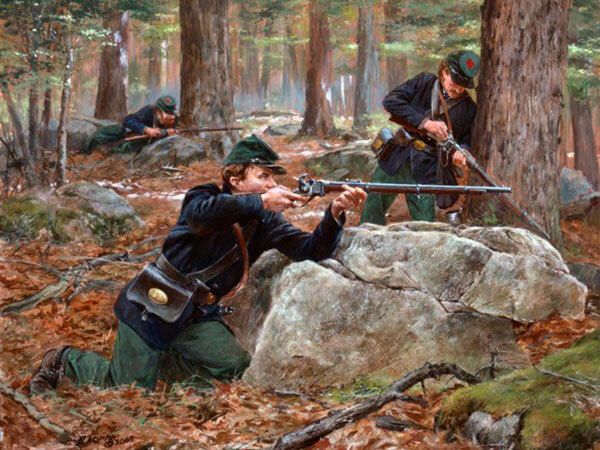 By the time the Civil War broke out, both the north and the south were well equipped with guns which were far superior to the matchlock which the Chinese were using. “During the war, a variety of weapons were used on both sides. These weapons included edged weapons such as knives and swords, firearms such as, rifled-muskets, breech loaders and repeating weapons, various field guns such as artillery, and new weapons such as the early grenade and machine gun…….The Civil war is often referred to as the first “modern” war in history as it included the most advanced technology and innovations of warfare available at the time. Some of the innovations and advances of the Civil War included mass production of war material, rifling of gun barrels and the use of the Minié bal, the advent of repeating firearms and metallic cartridges, ironclad warships, advances in medicine, communication (especially the telegraph) and transportation (railroads), and the gradual decline of tactics from previous centuries.” From these Wikipedia quotes, two points of interest quickly come to my attention. The first is the mention of the use of knives and swords during the civil war. I would classify them as being traditional weapons for the Americans, just as knives and swords were traditional weapons for the Chinese. The second is the mention of hand grenades as being a new weapon for America; whereas, I remember reading earlier that hand grenades were traditional weapons for the Chinese. This is important to note and to keep in mind because it shows that the defining lines of meaning between the “first modern war” and the “last traditional war” are not nearly as clear as those who are using the terms would have them. The line of “modern” weapons was equally crossed in that the Chinese not only used matchlocks, but Western percussion cap rifles as well; I am told by Peter Dekker. Also in the quotes, more than weapon technology is presented as the reasoning for the American Civil War acquiring the title of the “First Modern War”. Telegraph, transportation, and medicine advances are listed as innovations and advances. Indeed, there are impressive technological accomplishments to be acknowledged in association with the American Civil War. From those accomplishments, the world has proceeded to ever more technological achievements within the weapons industry. Many of those developments have had beneficial applications which have been used to improve the quality of human life. It needs, also, to be said that many of the accomplishments have led to ever more horrifying methods of human destruction. 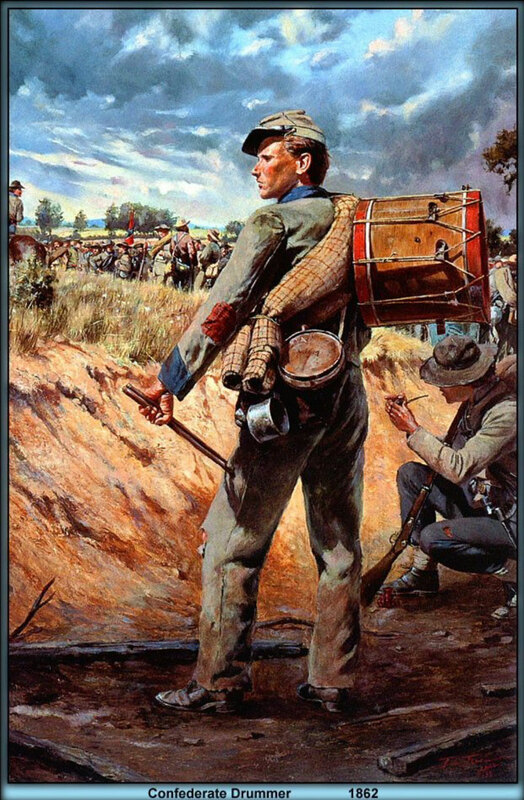 There is one sentence worth repeating and worth considering in depth; “The Civil War is often referred to as the first “modern” war in history as it included the most advanced technology and innovations of warfare available at the time.” My discomfort with this sentence is in the reasoning presented. Basically, the author is defining the “first modern” war in terms of it including “the most advanced technology and innovations of warfare available at the time”. How utterly meaningless this statement is. If that is truly the foundation upon which that term stands, then there are at least hundreds of wars which would qualify to be so named. Certainly, wars themselves have had the tendency to generate innovation and advancement of weapons technology throughout all ages, regardless of which corner of the world is being examined. For this reason, the Qing’s unwillingness and/or inability to make their own innovations during their dynasty is extremely interesting. Throughout Chinese history, most periods of war have directly led to innovation and advancement of technology, in order to provide a greater chance of survival. Yet, fulfilling the qualifications given to meet the terms of being the “first modern war”, has not endowed any of those periods with that title. Using the same logic for the West, needn’t we give that same title to all the major wars which have occurred ever since the American Civil War? Certainly World War II, with its hydrogen and atomic bombs, would have long ago taken the crown off the head of the Civil War to become the new reigning champion of “modern wars” of the “first” kind.